Cancer Council Queensland is committed to supporting our community. At least one third of cancer cases are preventable through healthy lifestyles, so hosting a healthy event can help reduce cancer risk in your community. Here are some ideas on how to make your event a healthy one. Start by using our healthy events checklist, healthy fundraising ideas fact sheet and healthy loud speaker announcements for simple ways to promote and provide healthy choices at your event. For additional information click on the links below. Most skin cancers can be prevented by protecting yourself from the sun in five ways – Slip, Slop, Slap, Seek, and Slide. Ensure your event is SunSmart! Ensure shade is provided for all outdoor events by using permanent shade structures, marquees, umbrellas and shady trees. Our retail stores sell sun protection products with all proceeds going to cancer research, support and prevention programs. Download the SunSmart app and UV Widget to view the UV levels each day. Remember when the UV is 3 or above sun protection is needed. Maintaining a healthy weight throughout life is one of the most important ways to reduce your risk of many types of cancers. Make the healthy choice, the easy choice by providing healthy food and drinks at your next event. Healthy BBQ – Use these recipes and ideas to create a healthy and delicious BBQ that everyone will enjoy. Catering guide – Use this guide to ensure that your food and drinks align with Cancer Council Queensland’s recommendations. Soft drink free event – Aim to make sure event alcohol and soft drink free. Read more about drinking for health. Smoking is the leading cause of preventable death and disease in Queensland and there is no safe level of exposure to second-hand smoke. Cancer Council Queensland recommends that your event is completely smoke free. Understand the benefits of introducing smoke free public places – The state government has introduced tough tobacco laws in Queensland banning smoking in many public places. Ensure you are familiar with these laws before your event. No smoking and fresh air posters – Use these posters to ensure visitors at your event are aware that it is smoke free. Are free sunscreen samples available? 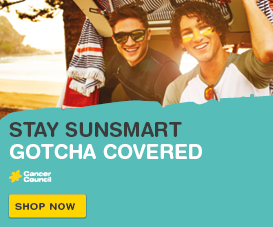 Our SunSmart shop products are available for purchase with proceeds going to cancer research, support and prevention programs. Discounts may be available for large orders. Contact Cancer Council retail shop for more information. What free posters and resources are available? You can access a number of free resources to help promote healthy messages at your events. View our online library. 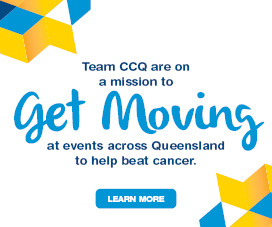 What Cancer Council Queensland events are on? Cancer Council Queensland run a number of events throughout the year. To show your interest or find out more click here. Can I promote Sid the Seagull at my event? Yes. You can download and print a number of SunSmart resources that highlight Sid the Seagull’s key SunSmart message to Slip, Slop, Slap, Seek and Slide every day. Can Cancer Council Queensland come to my event? Request a CCQ Representative at your event and let us know how we can support you further. How can my event support Cancer Council Queensland? Cancer Council Queensland is not government funded and relies on the generous support and donations from our community. In addition to promoting a healthy event, find out how you can turn your upcoming event into a fundraiser through our Do It For Cancer program. Alternatively, you can call 1300 65 65 85 or email us fundraising@cancerqld.org.au. 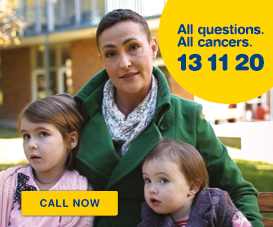 Contact Cancer Council 13 11 20 for cancer support and information, Monday to Friday, 9am – 5pm. You can also follow us on Cancer Council Queensland Facebook page for more healthy event tips and hints.